There might be no more well-known Pennsylvanian than Fred Rogers. Born in Latrobe, PA, in 1928, he became a television icon known throughout the world. His show, Mister Rogers’ neighborhood, aired from 1968 through 2001 and impacted generations of young people. 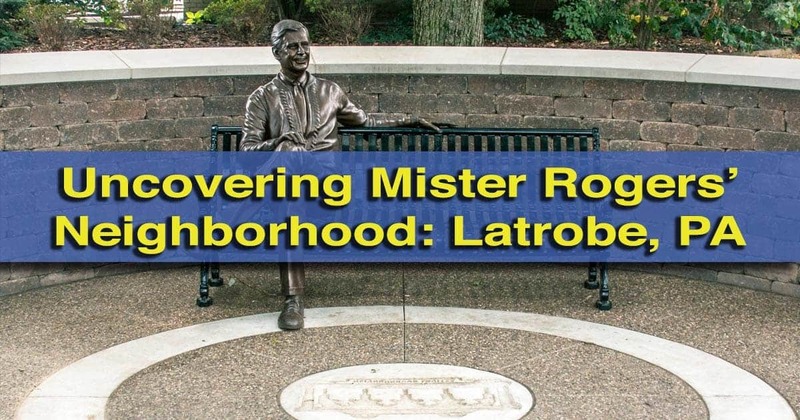 Those wanting to pay their respects and learn more about his life can visit Mister Rogers’ personal neighborhood of Latrobe, about an hour outside of Pittsburgh. 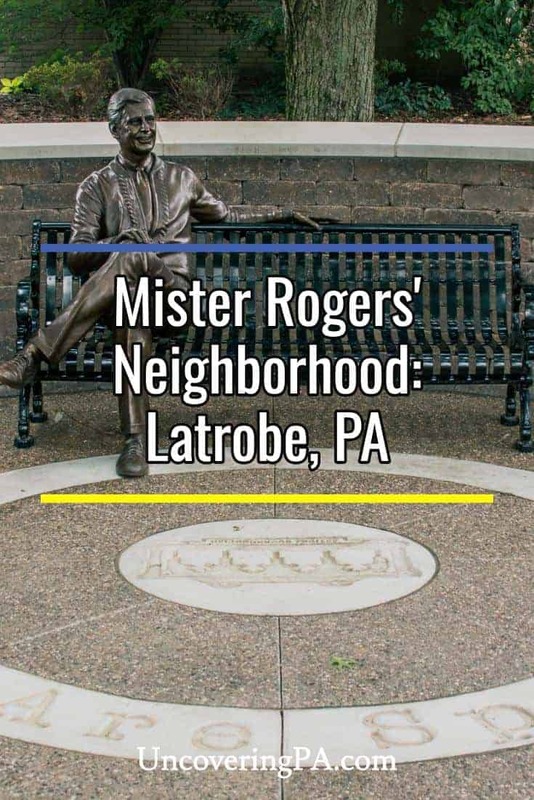 Latrobe is not only where Rogers spent his childhood, but the community is also home to his gravesite, a statue in his honor, and the Fred Rogers Center for Early Learning and Children’s Media. 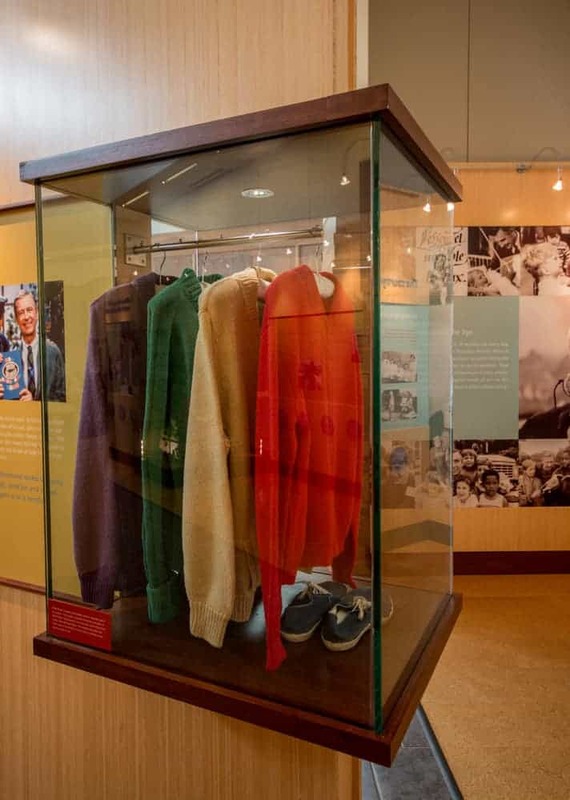 The Fred Rogers Center has a small museum dedicated to his life and television career. 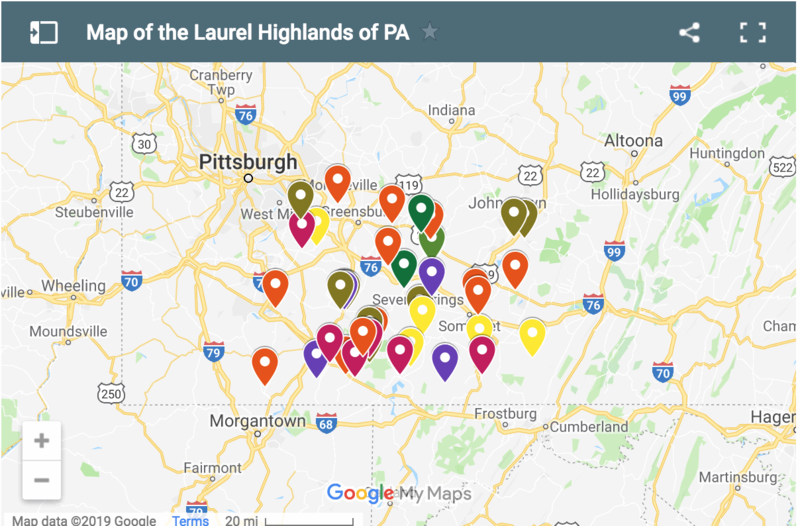 Start off your visit to Latrobe at the Fred Rogers Center outside of the town center on the campus of Saint Vincent College. 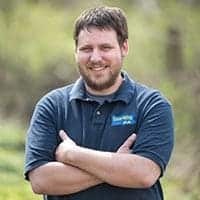 The purpose of this center is to promote Rogers’ early learning goals, but it is also home to a small, free museum of interest to anyone that grew up watching Mister Rogers’ Neighborhood. 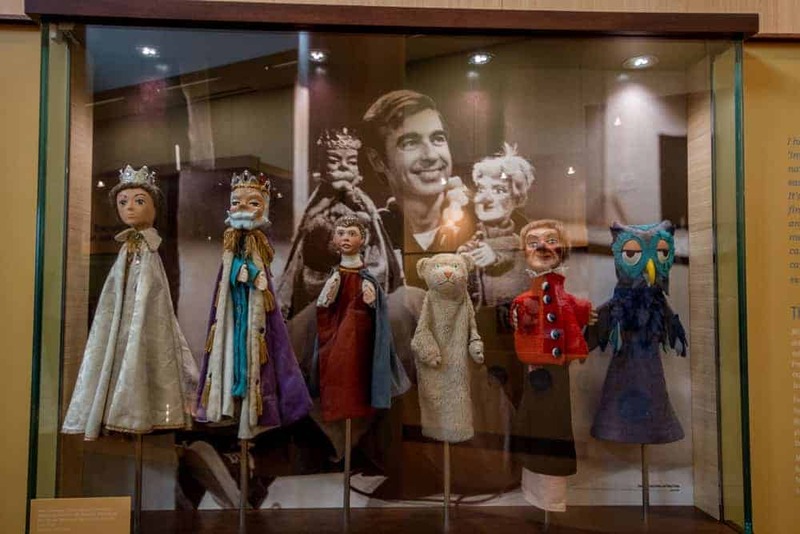 This museum features dozens of artifacts from Rogers’ life that tell the story of how he became a beloved television icon. A collection of Rogers’ sweaters and shoes. There are also pieces of memorabilia from his show including several of his famous sweaters and sneakers. Other pieces of interest include a collection of puppets that he used and the original Neighborhood Trolley. Having grown up watching his show, it was amazing to see these pieces of television history in front of me. Don’t miss the McCarl Coverlet Museum while at the Fred Rogers Center. 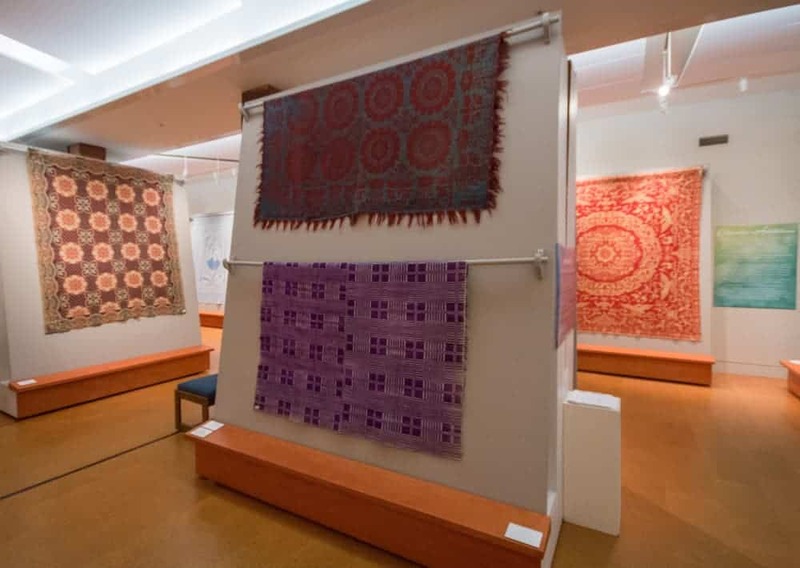 Before leaving the Fred Rogers Center, head downstairs to check out the McCarl Coverlet Gallery. While this has nothing to do with Rogers, it’s still an interesting collection of coverlets and other woven materials from the area that’s worth checking out if you’re already in the building. Sit a spell with everyone’s favorite neighbor. After leaving the Fred Rogers Center, head into downtown Latrobe to visit Fred Rogers Memorial Park. This small park at the corner of Main Street and Jefferson Street (Coordinates: 40.316036, -79.385449) is home to a fountain and a beautiful statue of Mister Rogers. 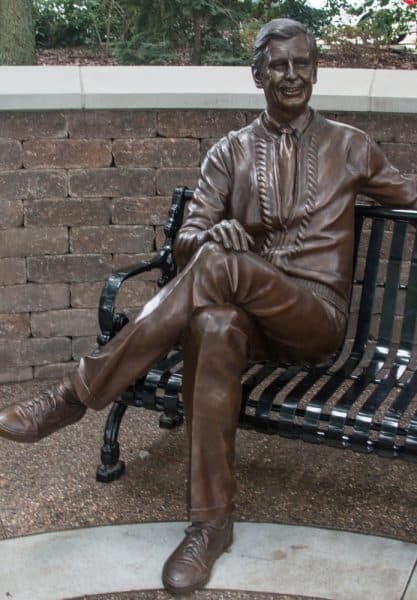 In the park, Rogers can be found sitting on a bench which is fronted by the words “You are special.” Take a minute to sit down next to Mister Rogers and have your picture taken before you leave. The park is also home to a historical marker in Rogers’ honor. 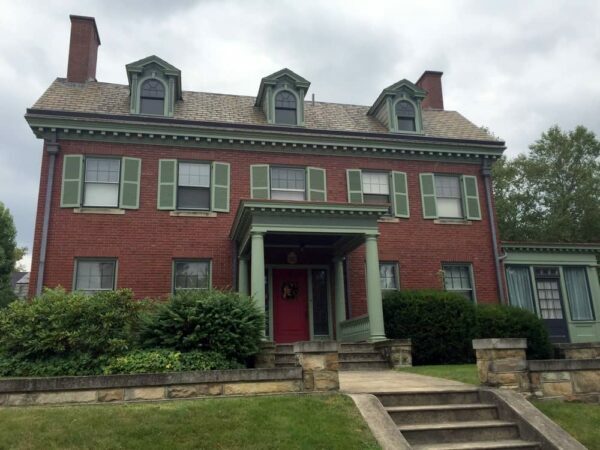 Mister Rogers’ childhood home in Latrobe. 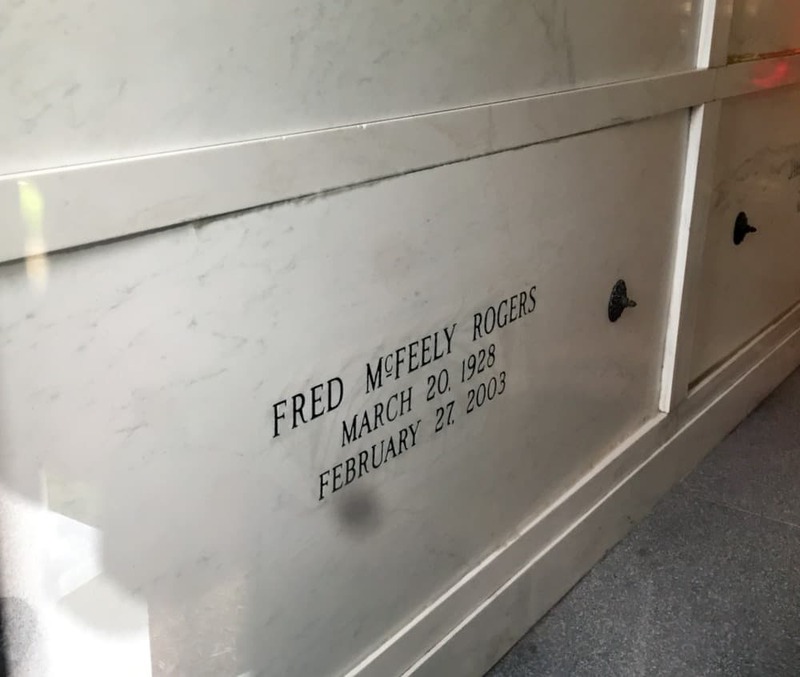 This mausoleum is the final resting place of Fred Rogers. 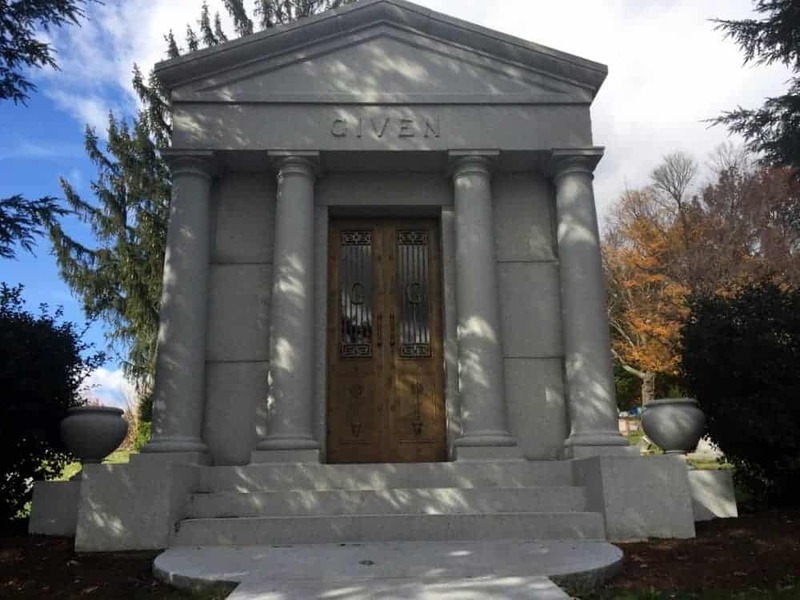 While Rogers spent much of his adult life living in Pittsburgh, he still had ties to the area and opted to be buried in the family mausoleum in Latrobe’s Union Cemetery. Located atop a large hill outside of town, Rogers died in 2003 and was buried in the same small mausoleum as his parents. His grave can be found at the following coordinates: 40.309599, -79.418518. Looking through the mausoleum’s window at the grave of Mister Rogers. Note the the mausoleum bears the name “Given”. If you look through a small window in the door, you can see Mister Rogers grave marked with the name “Fred McFeely Rogers” toward the bottom left. 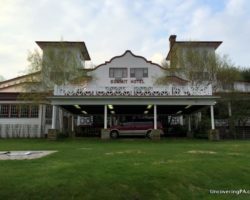 If you want to explore even more of Mister Rogers’ legacy in the area, head to nearby Idlewild Amusement Park and enjoy their Mister Rogers’ Neighborhood of Make Believe. 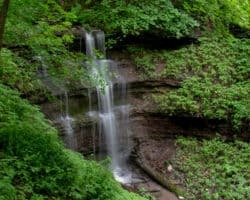 You can also drive a bit further to Buttermilk Falls. 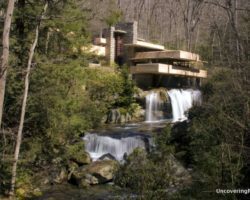 The land around this waterfall was once owned by Mister Rogers’ grandfather, and a young Fred would often sit by the waterfall to enjoy its beauty. 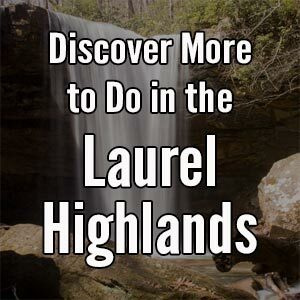 If you are looking for other great things to do in the area, check out Fort Ligonier, Linn Run State Park, and Bushy Run Battlefield. We miss this great man and shall. Rarely is a man loved by all. Heaven is where he awaits us. Looks like his childhood home could use some TLC! !